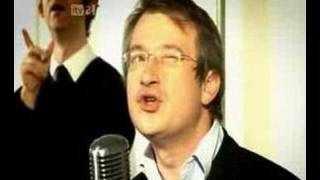 Robin Ince started his comedy career as a writer, working on shows including Alistair McGowan's Big Impresison, V Graham, Norton and Meet Ricky Gervais, his first of many collaborations with the Extras star. Ince appeared with Gervais, Stephen Merchant and Jimmy Carr in the 2001 Edinburgh show Rubbernecker, and regularly supports Gervais on tour. He also appeared in one episode of The Office, playing interviewee Stewart Foot. That role inspired his tongue-in-cheek solo Edinburgh debut in 2004, and he has returned to the Fringe every year since. In 2005 he started erudite comedy night The Book Club, loosely based around bad literature, which won him the innovation award at the 2006 Chortle Awards as well as the outstanding contribution to comedy accolade at that year's Time Out awards. In 2007, he was named best compere at the Chortle Awards. On TV, he has appeared as John Peel on Channel 4's 11 O'Clock Show as well as countless panel games and 'talking heads' shows, including Channel 4's 100 Greatest Musicals (2003), BBC Three's The State We're In (2003), Celebdaq (2004), BBC Two's Mock The Week (2006). He has also appeared on Radio 4's Now Show, Just A Minute and Mitch Benn's Crimes Against Music. In 2006, he co-wrote his first feature film, Razzle Dazzle, about children's dance contests in Australia. Reviewing a Robin Ince gig is an exercise in futility, given that his peripatetic mind will never allow two shows to be the same. He says he’s got two-and-a-half hours of material that he’s trying to cram into 60 minutes, but there’s probably more even than that. And not only does he deliver what he’s prepared at breathless speed, routines pop into his head at random, abandoning his proposed train go thought on a whim. After several years association with science, not least through Radio 4’s Infinite Monkey Cage, Pragmatic Insanity is nominally about art, with the same intent of awakening a passion for the subject in those who might think it beyond them. He’s prepared a PowerPoint about all the works he wanted to speak about which suggests there was a structure to the show, at least once. But in the event the main theme of the hour (well, 70 minutes) is his lack of discipline. ‘That wasn’t what I expected to say next, either,’ he says at one point, with the random aside spinning off into a whole new routine. Ince proclaims himself a ‘professional idiot’, the clown leavening Professor Brian Cox’s highbrow explanations of the workings of the universe. But for an idiot, he has a lot of knowledge, his insatiable inquisitiveness about the world making him polymath who can talk about everything from 24 Hours In A&E to artist Robert Rauschenberg; mental health to John Peel. Pragmatic Insanity is like listening to Radio 4 on 8x speed, a hodgepodge of fascinating, sometimes obscure subjects tumbling forth, with some comic relief every so often. Not only is Ince’s mad-professor persona inherently amusing, he has an ear for a witty phrase and a fine talent for mimicry. His Stewart Lee is particularly accurate, while the mini-Alan Bennett monologue in an art gallery coffee shop an absolute delight. More importantly, Ince is a magnet for those of a similar disposition, the nerds, essentially, who delight in knowledge, however obscure. As the high priest of the curious - probably a poor analogy given his atheist credentials – he reassures his like-minded audience it’s not just OK to be eccentric, but a boon. That positivity pervades the show, in a similar way to what his friend Josie Long does with her work. He’s keen not to mention Trump or Brexit, knowing that his passion will so easily slide into anger should he let it. This is a celebration, not a diatribe, though it has all the unfocussed urgency of the latter. You’ll emerge informed, educated – and probably validated too. Lord Reith would be happy. We do not currently hold contact details for Robin Ince's agent. If you are a comic or agent wanting your details to appear on Chortle, click here.